In this kit, 1/2 wavelengths are measured and used to determine the relationship between wavelength, frequency, and velocity. Simply fill tubes with water, strike a tuning fork above the inside tube, and adjust the inside tube to locate the 1/2 wavelength nodes. 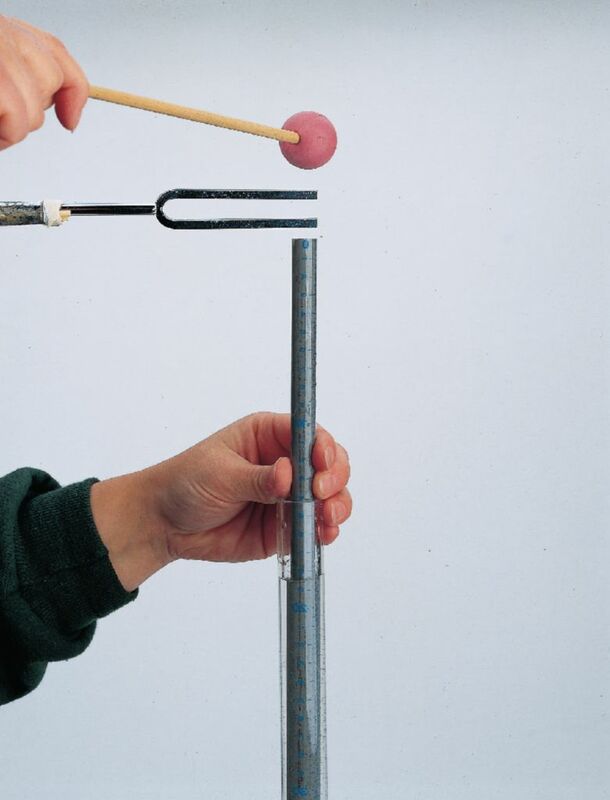 Developed by physics teacher, Jerome Chandler, this easy-to-use kit helps students understand the properties of sound waves. Instructions included. Note: Tuning forks are required but not included. Grades 9–12. Size: 122cm L.